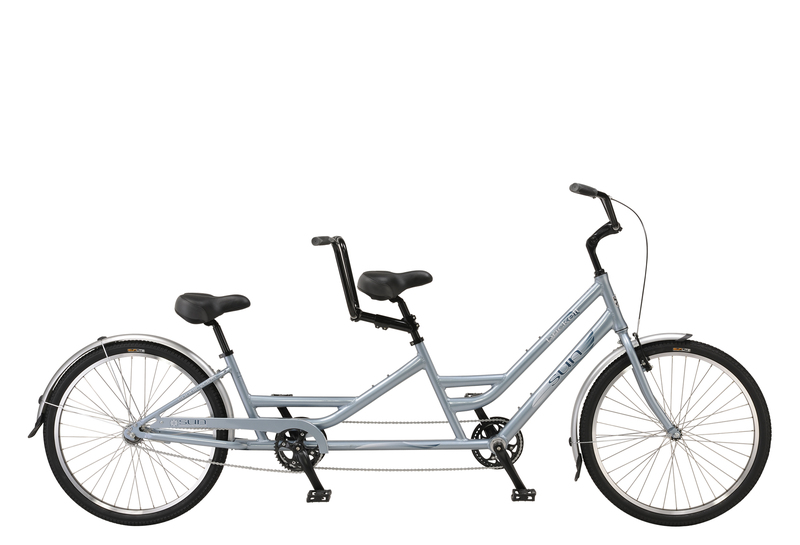 The Brickell tandem uses light weight alloy to construct an extremely easy to ride Foot Forward frame design offered with your choice of single-speed or 7-speed drivetrain. 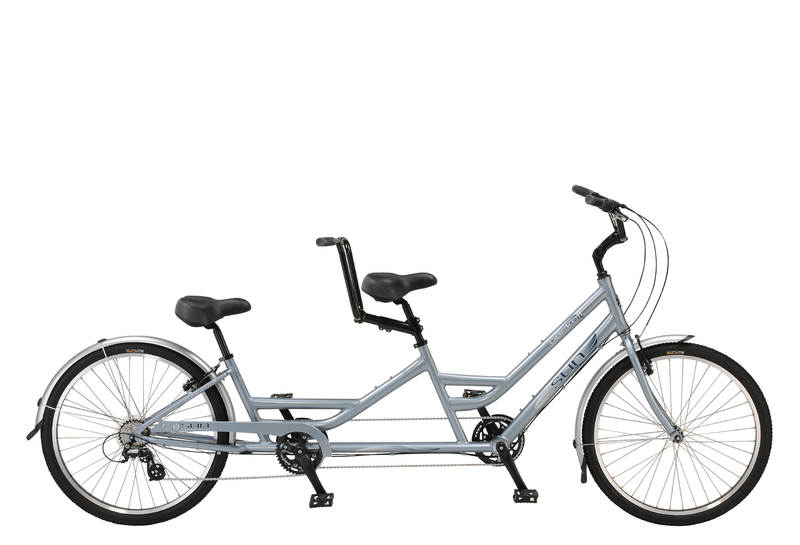 Comfort and ease of use are the main focus for this tandem. This bike features low clearance top tubes which makes for exceptionally easy starting and stopping. The stand over height is a mere 21" on the front and 18" on the rear. Perfect upper body positioning is easily achievable with an adjustable angle stem up front and an adjustable reach stem in back. Gel grips and super soft foam saddles top it off to make this one great bike for new tandem riders.